Christmas has come early in Helsinki and everyone’s at the sales. First Esa-Pekka Salonen calls time on London’s Philharmonia – only to upgrade to San Francisco. Now Osmo Vanskaa has decided to end the most prolific orchestra-conductor partnership in America. He will leave Minnesota in 2022, it was announced last night. To go to London, perhaps? The Philharmonia and London Philharmonic are both vacant. Heb has been an exemplary leader, standing with the musicians through a 15-month lockout and staying on to rebuild confidence in the aftermath. MINNEAPOLIS, MN (December 5, 2018) — Osmo Vänskä announced plans today at the Minnesota Orchestra’s annual meeting to conclude his tenure as Music Director of the Minnesota Orchestra in August 2022. 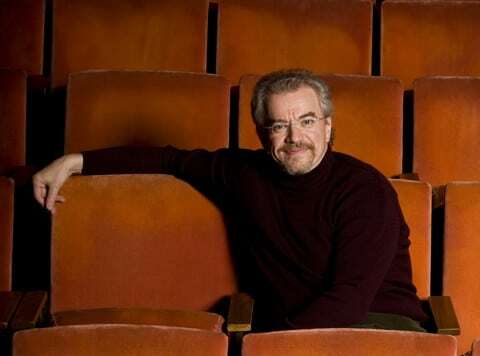 The 2021-22 season, his final as music director, will mark his 19th year at the helm of the Minnesota Orchestra, capping what is widely considered one of the great musical partnerships in Minnesota Orchestra history. Beyond 2022, Mr. Vänskä and the Minnesota Orchestra will maintain their musical relationship, with Mr. Vänskä returning for ongoing concert engagements. The London Phil would be smart to put him on the payroll. Although he’s not exactly a young person anymore he appears to have taken good care of himself and has more energy than any other conductor I have seen, so he should be able to hold down another higher-profile gig with no problem. I got 16 thumbs down for daring to suggest the very good SFSO is a step down from a legendary, world class orchestra like The Philharmonia. I’ve heard both the SFSO and the Philharmonia many tines. C’mon? Not even close. Besides being wrong about the SFS’s quality, you’re also overlooking the fact that it’s one of the best funded U.S. Orchestras (doesn’t have the constant revenue shortfalls that many experience), the Orchestra has historically funded MTT’s projects (e.g. American Mavericks) that are not so dissimilar from what EPS did in LA, and the orchestra has a robust in-house label. It’s easily one of the cushiest MD jobs in the world. Oh for the days of De Waart…. The Minnesota Orchestra is a better ensemble than any of the orchestras you mentioned, especially with Vanska conducting. You should listen to them! For the quality of his work he would deserve a high quality orchestra in Europe. He made amazing things in Minnesota and also in Finland with the Lahti. He has all the potentials to say again great things. One of the two top American orchestra/conductor combinations right now – the other is Pittsburgh/Honeck. I consider it one of the great privileges of 40 years of concert-going to have heard Minnesota and Vanska in person many times at Orchestra Hall. Sad to see Osmo go, but we do have 3 more years of his brilliance – a quiet, reticent FInn UNTIL he steps on the podium. Then the fireworks. So it’s a really tough question. Who could succeed Osmo Vanska in Minneapolis? Roderick Cox, the former associate conductor – young but can learn a lot in the next few years. Watch him conduct Tchaikovsky!! Yes! Haven’t heard young Roderick in person, but caught a webcast with him doing an excellent Rachy 3 (um, but forgot who the pianist was) and an exciting Tchaikovsky 4th that made me forget how overplayed both of these pieces are. Maybe not ready for music director yet, but definitely a talent to watch (and hear).